Your Weight Loss Stall Is Not Your Fault. Anyone who understands the science of Low Carb dieting knows that a Fat Fast will help break a low carb weight loss stall. 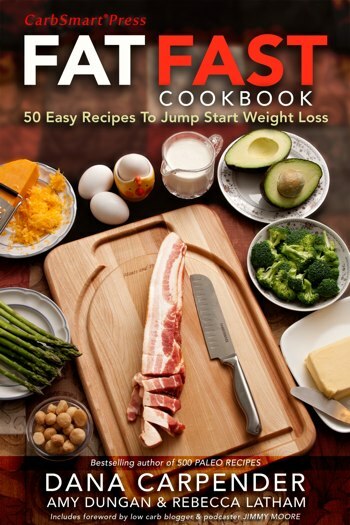 Jump-Start Your Low Carb Weight Loss with CarbSmart’s Fat Fast Cookbook by Dana Carpender, Amy Dungan, & Rebecca Latham! This is the downloadable PDF version of the cookbook. Fat Fast Cookbook by Dana Carpender & the CarbSmart Staff! Are you interested in jump-starting your weight loss the low carb way?